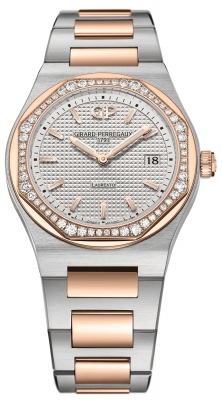 Octagonal shaped polished 18kt rose gold bezel set with 56 brilliant cut diamonds weighing a total of +/- 0.82 carats. 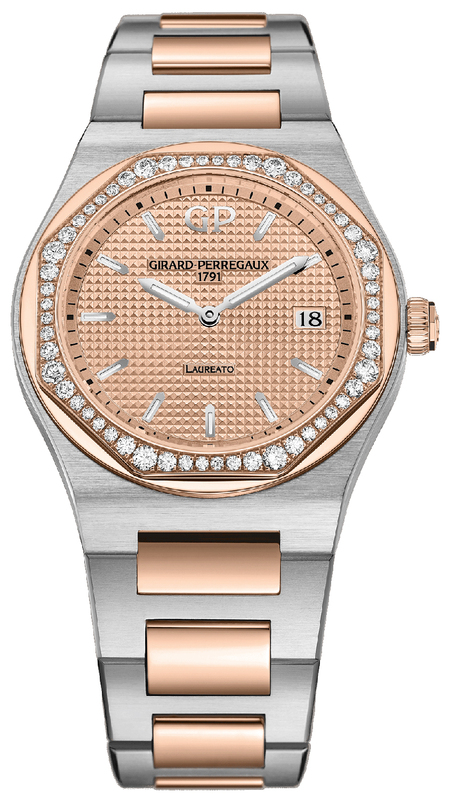 Rose gold dial with a fine hobnail guilloche texture pattern. 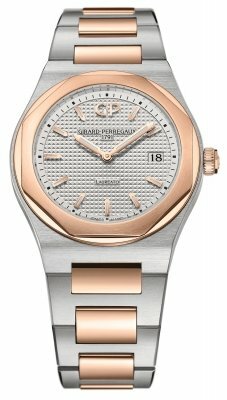 Flat rose gold dial flange with printed hour/minute track. Polished rose gold toned hands with luminous fill.